Wallenborn Events is a member of Wallenborn Group. As a direct result of the experience of Wallenborn Group, Wallenborn Events was founded to provide tailor-made solutions for any demand in event logistics. After several years of activity, Wallenborn Events became a specialist in logistics for high end events including the likes of the Formula One Grand Prix (logistics, hospitality and catering), Motor Shows (logistics, hospitality and catering), Golf Tours (logistics and hospitality), and many more. Wallenborn Events is a unique provider of event management logistics and offers an “all-inclusive” package of services that allows each customer to focus on their core business. Wallenborn Events has been in operation for over a decade and is proud of to have a multitude of success stories under its belt. 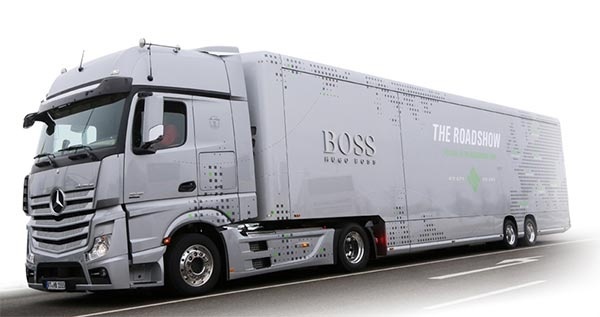 Wallenborn Events supported Hugo Boss with an innovative and creative concept based on a truck-shop travelling from one event to another. The Wallenborn Events technical team managed all the logistics of this project and was involved from the conception of the truck-shop to the management of the daily opening for this exclusive venue at public events. Since 2010, Wallenborn Events is the exclusive logistics provider for Renault Sport F1 Team (formerly Lotus F1 Team) offering an “all-inclusive” services package. Wallenborn Events is currently collaborating with several key players in the sports world, as well as with sports events promoters. Wallenborn Events has the flexibility to adapt its services to meet the individual needs of its customers. Services can range from a very specific mission at a unique event to the supply of a full season "all inclusive" service to increase both profitability and public exposure for the customer. Wallenborn Events identifies and allocates the necessary resources to set up structures in time and in accordance with customer and guest expectations. The Wallenborn Events technical team manages all aspects of systems linked to the structures to ensure seamless operations for the duration of the event. Wallenborn Events identifies the customer’s needs and puts in place a dedicated team to satisfy the all requirements. Wallenborn Events has unofficially been elected as “best canteen” in F1 Paddock since it started in this sport category, thanks to its amazing chefs and staff. Wallenborn Events provides transportation solutions for all types of transport: road, sea, air, combined, etc…. As a sister company of Wallenborn Transports, Wallenborn Events is in a unique position to offer the best transport solutions for any logistical challenge. Wallenborn Events can store, manage and transport customers' inventory. Secure warehouse facilites for all types of equipment, merchandising kits, etc are available in several key locations around the globe. The story of Wallenborn Events is one of its people. Everybody knows the importance of good staff, but this becomes essential when there is a need for those people to integrate with the client's team in a short amount of time. Wallenborn Events applies a strict selection process when recruiting and clients' culture, environment and needs are always considered when hiring for key roles. With Wallenborn Events clients can count on an amazing team with the ability to rapidly build team spirit, thereby fostering long-term relationships and collaboration. For more information on services offered please visit the Wallenborn Events website at www.wallenbornevents.lu. To learn more about our event services or to request a quote please email events@wallenborn.com.